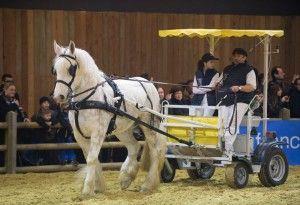 This type of horse is mentioned in records dating back to the 7th century, at which time the foal fair in Desvres was established. Others trace back the ancestry of this breed all the way to Caesar’s cavalry, remounted on Numidian horses and gathered together in 54 BC near Boulogne for he crossing to England. These oriental bloodlines were re-visited several times subsequently, at the time of the Crusades, the Spanish occupation, and the First Empire. 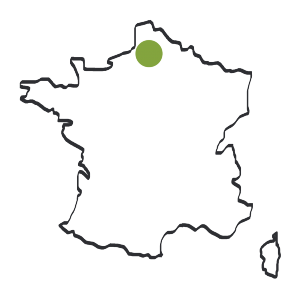 Boulonnais breeding stock is registered in several departments of North-West France, mainly Pas-de-Calais, Nord, Somme, Seine-Maritime and Oise. In olden days, the heart of Boulonnais breeding was located in the lower Boulonnais region, cradle of the breed (Marquise in particular), where the clay-rich soil that is rich in phosphates led to the development of a solid bone structure in large animals. The porous chalky fishing areas of the upper Boulonnais, with their harsh winters, produced lighter horses, whereas the area around Calais produced larger horses, and the Rue region, south of Boulogne, bred powerful horses. 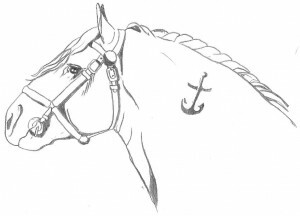 The Boulonnais breed was recognised in 1886. Accepted are chestnut, red roan, bay, roan and all shades of grey, all the way to black. 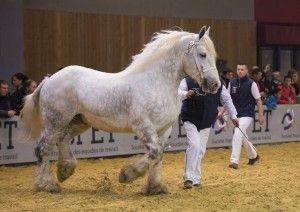 Energetic, lively and with excellent gait, the Boulonnais is very elegant and distinguished, which often earns it the nickname of “Draft Horse Thoroughbred”. 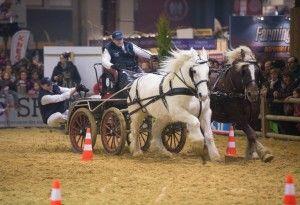 The Boulonnais is an excellent pulling horse, both utilitarian and prestige. It is highly valued for its elegance, and is successful in driving competitions. 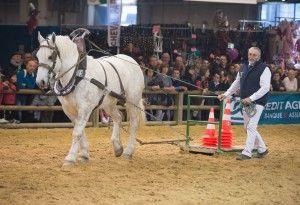 The Boulonnais horse is suitable both for beginners and experts, for leisure activities, or for competition. Its great heart, energy and kindness makes it a horse that people are passionate about.